But there are exceptions, and perhaps the most accessible is the first century steps that led into the temple during the time of Jesus. Mary and Joseph would have walked on these steps when they brought the baby Jesus to be blessed by Simeon, and here Jesus often walked with his disciples. In fact, scholars believe that Jesus would have often preached on the steps even as the rabbis did. But—and this is most important—with his death and resurrection, Jesus is now the temple (see John 2:18-22)! The veil of the temple was torn from top to bottom, giving us access into the Holy of Holies no matter where we are in this world. 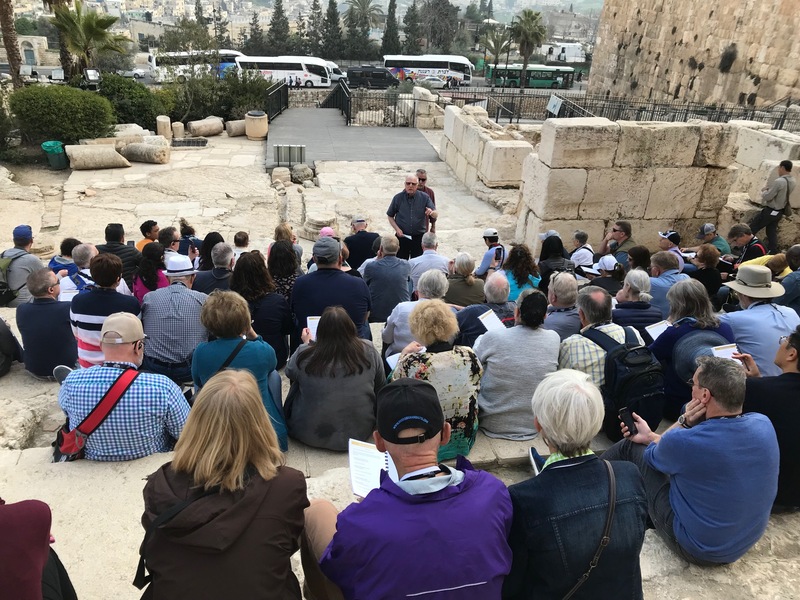 I considered it a privilege to preach standing on the stairs where Jesus walked, but an even greater honor is to know that this same Jesus is with me even when I return back to the United States. We don’t need the temple if the Lord of the temple lives within our hearts!